Yesterday I was talking with a neighbor who was in the process of renovating and reseeding a lawn in her back yard. She talked about how difficult it was to maintain grass in this shaded area with a lovely canopy of trees. Not surprisingly, she mentioned that it is hard to get anything to grow under those trees and that she thinks that they take up most of the water and nutrients. A suspicion that is most likely correct. The conversation then turned toward what might be some alternatives to the grass which probably doesn’t get enough sun to grow well, except immediately next to her patio (a place that looked like it would get a little more sun). We talked about a few of the things that can grow in dry shade in our Willamette Valley Oregon Zone 8 location. I mentioned the things that immediately came to mind, like epimediums, ferns, hostas as well as some shrubs that would do well in dry shade. When I got home, I thought of looking up Plants for Dry Shade in my copy of “The Book Of Lists” to give her a few more plants for that dry shade of hers. Of course, I couldn’t find it. I never can when I really want it. So I turned to the internet. This became a project….how to help my neighbor out. I came up with quite a few both that I knew and may have had some experience with and some that surprised me. Then I thought, why stop with sharing it with my neighbor, why not share it here as well. So here goes, my list of plants for dry shade. I’ll let let you know if I have grown this one and what I think of it. My disclaimer is that the plants aren’t just dependent on light conditions, but are also dependent on soil and environmental conditions. So check out the recommendations at a local nursery or the Cooperative Extension in your area.
. Sweet Woodruff – I have this and it can spread, but I have been able to control it. I think that both the foliage and white flowers are pretty and sweet smelling.
. Lamium – I have a really pretty cultivar with silver green leaves and beautiful light magenta flowers. (I’m unsure of the name.) This is really beautiful.
. Geranium macrorrhizum (Big root geranium) – I have some of these low growing geraniums. This forms a mat. Mine is in the sun, but it can do well in dry shade. Spreads by underground roots.
. Oxalis – I have shamrock oxalis. This can spread and be somewhat invasive, but I have not had problems with it.
. Vinca – This is a wonderful groundcover with purple or blue flowers in the spring.
. St. John’s Wort – This is a pretty groundcover with yellow flowers, can be a little invasive.
. Creeping Jenny was not listed anywhere, but I have a golden one that does very well in shade that is somewhat dry at my house.
. Pachysandra – I have never had this one, but it is a popular plant. *. Bishop’s Weed – This groundcover has beautiful white and pale green foliage, but can be Very Invasive. Plant only with extreme caution. I came across a list of some Pacific Northwest native groundcovers. I really have no experience with these, but do know what most look like. They are beautiful in nature and in the garden. One other thing about natives anywhere, is that they developed in your location and are used to the type of conditions that nature can throw at them, so may be more likely to survive than non-natives suited for similar conditions.
. Epimediums – I love these low growing perennials. I don’t currently have any, but they have pretty heart shaped leaves, often tinged with red or purple and delicate flowers. The foliage can start to look ratty after awhile and should be cut back.
. Bergena – These are plants with fleshy leaves and reddish pink flowers. The can survive dry shade, but like some water. I don’t have any of them, but I do like them. 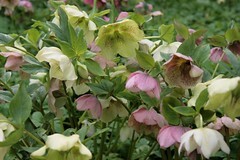 These would look nice in a cluster.
. Hellebores – My favorite perennial of all. These beautiful, evergreen plants flower in late winter or early spring, depending on the variety. The flowers range in color from green to yellow to deep purple. I have a double flowered one that I love. Great in shade and can take a little sun. I love them because they are winter bloomers. These are wonderful in a cluster of plants.
. Hostas – This is a beautiful plant for partial to full shade, although some will survive the sun. They are wonderful as foliage plants, but have very pretty flowers as well. I have a few, which I enjoy. They are prone to slug damage.
. Western Bleeding Heart (Dicentra Formosa) – This western native, is gorgeous with its fine foliage and heart shaped flowers in spring. I don’t have this kind, but I have do the other kind of Bleeding Heart which is also beautiful.
. False Solomon’s Seal – This beautiful native, arching white flower is gorgeous in nature and in the garden.
. Foxglove – This is a native in the Pacific Northwest and sends up tall pink, white or purple spires of cup shaped flowers. The hummingbirds love them. They seen to do well in either shade or sun. They do send out lots of seeds though, so cut them down before they seed if you don’t want so many. You will also want to cut them down, because the foliage starts to look ratty.
. Sarcococca Hookeriana Humilis (Dwarf Sweet Box) – This is the most fragrant shrub I know of. 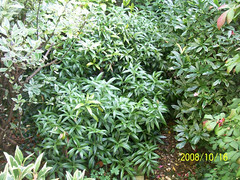 It has dark evergreen leaves, with very tiny, fringy, white flowers in the depths of winter. The fragrance is so wonderful, you can smell it all the way across the yard. It is very short, but spreads by runners to 8 feet. It can take partial to full shade. It can tolerate some dry conditions, but prefers some moisture. Can you tell that I Love this shrub?
. Mahonia Nervosa (Low Growing Oregon Grape) – I have had this native shrub and love it. It is much shorter than the tall version and has evergreen, holly shaped leaves with yellow flowers in early spring.
. Salal – Another native shrub, with evergreen, waxy leaves and edible berries. It is mostly fairly low growing, although I have seen it get huge. It blooms in spring with fragrant, white, heart shaped flowers. 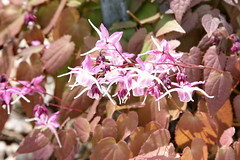 It can grow in deep shade or sun and can tolerate moist to dry conditions. I do not have this, but I do like it.
. Nandina (Heavenly Bamboo) – This great evergreen or semi-evergreen shrub comes in short to tall varieties and has delicate bamboo like leaves, white flowers and red berries. The leaves are sometimes tinged red or purple. It is a perfect alternative to invasive bamboo. It can tolerate moist to dry soil and sun to shade, but check the labels at the nursery. I have it and love it.
. Humulus Lupulus (Golden Hops) – This completely surprised me. 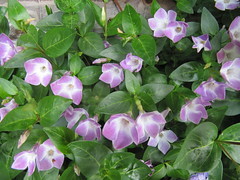 I did not know that it could grow in the shade, but here it was in a list of plants that can tolerate dry shade. Hops are large, beautiful vines, with interesting seed heads (yes this is what they put in beer – not sure about this variety though) I have never had a hops vine.
. Hydrangea Anomala – This is a vining hydrangea that can grow to 30 or 40 feet, but can be pruned to a mounding shrub. Can grow in partial shade and tolerate some dry conditions. Another source stated that it requires some moisture, so check with your nursery.
. Lonicera japonica ‘Halliana’ (Halls Honeysuckle) can be left as a ground cover rather than a vine, and can grow in sun or partial shade and can tolerate some dry conditions. This is the honeysuckle we are all familiar with.
. Hycinthoides Hispanica (Spanish Bluebells) – Pretty hyacinth like blue flowers in spring. I had some of these at my previous home.
. Galanthus Nivalis (Snowdrops) – One of the first bulbs to bloom in spring.
. Cyclamen – These are beautiful small plants with heart shaped leaves and pink flowers. Well, there you have it. These are some of the plants that I have found references for that will grow in dry shade. I have experience with quite a few in my own home garden, but others, I have absolutely none. Like with anything else, if you want to try growing some of these in dry and shady conditions, ask your nursery or local Cooperative Extension if they should do well where you are. As for me, I am going to post this and let my neighbor know about some of the other plants for dry shade that she can try out in her rather shady back yard. Some areas of her back yard should still do fine with grass, but this will give her some other options to think about. Thank you so much for such an informative list, and for including my post as an additional resource. I too have had success with creeping Jenny, though it’s one of those I only plant if I am OK with it really taking over. It’s so pretty, though, especially the golden one. Thank you for coming by my blog and leaving a comment. I did enjoy your site. Such beautiful roses. I have not had much of a problem with Creeping Jenny taking over, although I know some people have. I am very happy to have it, and it has been fairly easy for me to control. What a great list! Dry shade can be very tricky. Nice to have several options. Glad you enjoyed the list. Shade, in general can be a problem. It is indeed nice that there are options. Yeah, it is hard to grow plants under tall trees. Especially trees with wide branches and abundant leaves. Mostly one would go with plants that are okay with shade. I agree with you Holley having option is great, thanks to Lionmom she shared her knowledge about this. 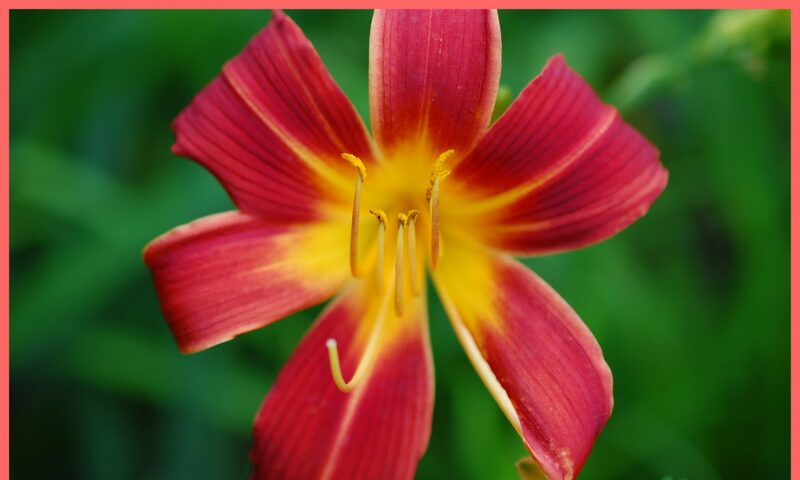 The flowers looks very fresh and nice, I did enjoy watching the flowers and reading your articles. Thank you Lionmom.